he prime minister has called a special meeting of the federal cabinet on Wednesday after differences emerged within the body over the government’s decision to introduce a fresh amnesty scheme for tax evaders. According to sources, some ministers opposed the scheme, saying the Pakistan Tehreek-e-Insaf (PTI) used to oppose such schemes when it was not in power, but now it has resorted to same practices, which might draw masses’ ire. The members said that the scheme goes against the party’s manifesto and if it is about declaration of assets then the public should be taken into confidence on the basis of the scheme’s merit. Addressing a press conference after the meeting, Information Minister Fawad Chaudhry said the Assets Declaration and Amnesty Scheme would be formally cleared on April 17 after further discussions in a special meeting of the cabinet. In the special meeting, the premier will discuss the strategy with respective ministers and deliberate on each and every provision of the proposed scheme. On the other hand, sources told that Federal Board of Revenue did not prepare any media strategy to disseminate the message, as PM believed that there would no benefit of this amnesty if the message couldn’t reach relevant people. The FBR team will come up with a comprehensive media strategy on Wednesday then PM will give the approval. The scheme was announced by the PTI government to facilitate benami accounts or assets holders to whiten their money, hoping it would generate around Rs250 billion in revenue. Fawad also reiterated the government’s resolve to nip the corruption in the bud. “Sharifs and Zardari are involved in financial malpractices. We hope cases against both families will be taken to their logical end and the law will take its course,” the minister said, adding [ex-chief minister] Shehbaz Sharif and his sons have no answer on money laundering allegations while Nawaz Sharif’s sons, hasan and hussein, were declared absconders by the court. The minister said that Shehbaz Sharif’s family received funds through telegraphic transfers, adding that’s how hamza made 97 per cent of his wealth. he said as per investigation, $ 26 million were received by Shahbaz Sharif family through TT whereas Nawaz Family got millions of dollars in Al-Azizia Steel Mills. he said out of declared assets of hamza Shebaz, 99 per cent were TT-based whereas his mother Nusrat Shehbaz had received 85 per cent money from abroad through telegraphic transfer. he said that in just only one night, Rs 1.2 billion was transferred from hill Metal to Nawaz Sharif account and similarly Rs 820 million were transferred in Mariam Nawaz account from which she used to buy properties and assets. “Zardari even bought an entire bank. People will lose their sleep when they will come to know more details. It’s not restricted to their leadership, even the cabinet members of Pakistan People’s Party (PPP) and Pakistan Muslim League-Nawaz (PML-N) were involved in the corrupt practices,” he added. N operation against suspected terrorists holed up in a house in Peshawar’s Hayatabad area concluded on Tuesday afternoon after a 17-hour standoff, with five suspects killed and a policeman martyred. The suspects had taken cover in a house in Phase 7 of the Hayatabad locality, from where they attacked security forces. According to Peshawar police chief Qazi Jameel, one of the suspected terrorists had been killed on Monday night whereas the rest of the four were neutralised on Tuesday. At least 11 people died and seven others, including women and children, were injured in a collision between a speeding truck and a van on Tuesday. According to details, a speeding truck and a passenger van collided head-on near Lak Bypass in Mastung. The van was completely destroyed resulting in the death of 11 people and leaving seven others, including women and children, seriously injured. The bodies and injured were shifted to hospital for medico-legal formalities where the condition of some more wounded people was stated to be critical. prayers. CM Khan told reporters that police had launched the operation on a tip off that suspected terrorists were hiding in a house in the Hayatabad area. He said, citing initial reports, that seven terrorists had been hiding in the house. A local resident said that cross firing had started in the midst of a search operation launched by police in the area. “The people [suspected terrorists] had been living in the house on a rental basis for almost 15 days. They seemed to be from the rural areas from their appearance. All of them were middle-aged men and there were no women with them. They used to enter and exit the building using the basement door only,” the local told a media outfit. Pakhtunkhwa and Azad Jammu Kashmir also received rainfall with thunderstorms. According to Met, rains alongside hailstorms will continue across the country for the next two days. In Lahore, the streets across the city were inundated after heavy rainfall lashed the provincial capital. NEWS DESK Another child was killed in an exchange of fire between police and alleged criminals that place on Karachi’s University Road on Tuesday, Deputy Inspector General (DIG) East Amir Farooqi told a local media outlet. According to DIG Farooqi, police officials were chasing a group of suspects within the jurisdiction of Sachal police station when the incident happened. He confirmed that the child was hit by a shot fired by the police. Sindh Inspector General of Police (IGP) Kaleem Imam took notice of the incident after it was reported in the media, and instructed DIG Farooqi to conduct an inquiry and submit a reported in this regard. the incident, he said that intelligence organizations should take pragmatic measures to eliminate the menaces of terrorism. Ahmad Karim Kundi of PPP, Khushdil Khan Advocate and Laiq Muhammad Khan of ANP also condemned the incident and said that root causes of the terrorism should be identified aiming its final elimination. Senor Minister Atif Khan responding to a calling attention notice of Rehana Ismail of MMA about historic Mashjid Mahabat Khan assured the house that provincial government would take care of historic mosque and said that political pressure would not be accepted regarding digging near the mosque. KP Assembly also passed Khyber Pakhtunkhwa Youth Development Commission Bill 2019 while Khyber Pakhtunkhwa Charities Bill 2019 was tabled in the house. The chair adjourned the proceeding till April 23 on 1:30 PM. The National Accountability Bureau (NAB) on Tuesday sent a questionnaire to the wife and daughters of Pakistan Muslim LeagueNawaz (PML-N) President Shehbaz Sharif in an investigation regarding money laundering and assets beyond known sources of income. The questionnaire to Nusrat Shehbaz, Rabia Imran and Javeria Ali were dispatched by post to their residences. The questionnaire sent to the wife and daughters of the opposition leader in National Assembly seeks details about transfer of money into their bank accounts. On Monday, National Accountability Bureau (NAB) Chairman Justice (r) Javed Iqbal had cancelled the summons issued by NAB Lahore to Shehbaz’s wife and daughters. He had issued these directions during a visit to the NAB Lahore office. The NAB Lahore DG briefed the chairman on mega corruption cases and cases concerning the Sharif family. The NAB chairman would himself monitor the cases regarding the Sharif family. The NAB chairman cancelled the notices issued for summoning Shahbaz Sharif’s wife Nusrat Shahbaz and his daughters Rabia Imran and Javeria Ali. He had directed that questionnaires should be sent to the Sharif family for the provision of the requisite information to NAB regarding the relevant cases. He vowed to end the menace of corruption from the country. President Arif Alvi met with the bereaved families of the martyrs of Hazarganji terrorist attack in Quetta on Tuesday and offered fateha for the departed souls. Condoling with the victims’ families, the President said it is the responsibility of the state to protect its citizens. President Arif Alvi said that Hazarganji like conspiracies have failed to create a wedge in our society. He said the entire nation stands by Hazara community in this hour of grief. Earlier, talking to the media persons in Quetta, President Arif Alvi reaffirmed the commitment to implement National Action Plan on terrorism. He appreciated the Balochistan government for announcing a compensation package for the victims of Hazarganji terrorist attack. He said no amount of compensation can match the loss of one’s dear ones but it is only meant to address immediate problems of the bereaved family. He said it is the responsibility of the state to protect the lives of its people. The president said despite many challenges, the Pakistani nation stands united. He said that Prime Minister Imran Khan will also soon visit Balochistan. did not account for its funds and election expenses according to ECP. The electoral body surprisingly showed helplessness to act against the party because the law according to it is cosmetic in nature. The bench said that ECP should not disabuse itself that constitutional and legal provisions are cosmetic as the responsibility placed on ECP by the Constitution and the law must be fulfilled. The Constitution also empowers ECP to get requisite information from any executive authority. So far, seven review petitions have reportedly been filed against the February 6 ruling. Under the SC Rules 1980, an aggrieved party can move review petition within 30 days but in this case, the SC registrar extended the time till April 18 for the parties to file their reviews. Shahzad, another accused in the case. FARYAL GRANTED BAIL: Separately, a division bench of the Islamabad High Court (IHC) on Tuesday granted Faryal Talpur pre-arrest interim bail until April 29, in an inquiry initiated against her for allegedly receiving kickbacks in a project between the Zardari Group and Bahria Town. The bench asked Talpur to submit a surety bond of Rs1 million. Talpur said that the joint venture was signed between the two private parties and that she had nothing to do with the fake accounts case. As per the petition, NAB had summoned her on April 17 to record a statement before the JIT probing the fake accounts case in connection to receiving the alleged kickbacks from the joint venture. Additionally, the court decided to club the case with another petition, pending in the IHC, in which Talpur is seeking bail in the fake accounts case. In the future, both cases will be heard together. cabinet divided over amnesty scheme coNTiNUED fRoM PAGE 01 “Steel Mills used to be a profitable entity up until the Zardari government [came into power] — they were the ones who drove it into the ground,” he further added. He said that similar to the Pakistan Television Corporation, the government intends to steer the Pakistan Steel Mills towards profit as well. “Six major international companies are interested in helping us run the project on the basis of public-private partnership,” he revealed. “The mill’s current capacity is 1.1 million tonnes that will be brought up to 3m tonnes. The country’s total need is 9m tonnes at the moment, so there is still ample room for improvement. We will ensure that the business of private steel mill owners is not affected in any way,” he said. Fawad also pinned terrorist attacks in the country on ‘foreign powers’. Referring to recent terror attacks, he said terror attacks inside Pakistan were carried out through foreign funding and it would take time to eliminate this foreign interference. The minister further said that measures being taken under the National Action Plan (NAP) would ensure that the country is cleansed of terrorism very soon. He said that the premier would also launch the first phase of Apna Ghar Housing Scheme on Wednesday. “The first phase will facilitate the creation of 135,000 houses,” he said. He said that the issue of renewal of telecommunications licenses was also discussed in the Cabinet meeting. Fawad said that the Cabinet gave three-month extension to CDA Chairman Amir Ali Ahmed. The cabinet also gave approval to the proposal of appointment of Dr Amir as chairman of the Evacuee Trust. He said that the Cabinet gave green signal for the appointment of the new chairman of the Pakistan Tourism Development Corporation (PTDC). Later answering questions of media-persons, the minister said there was no plan to reshuffle the cabinet and when there would be any change in portfolios, the PM Office would make a formal announcement in that regard. He said that Bilawal Bhutto Zardari may not know but during the PPP rule the incidents of terrorism were quite common which now had been controlled to a great extent. He said that the Quetta incident was tragic, but there should be no politics on the issue. To a question, he said that amendment in Pakistan Penal Code was being done for bringing back the absconders like Altaf Hussian, Hassan and Hussain Nawaz and Ishaq Dar back to the country to face the law. The Islamabad High Court (IHC) on Tuesday granted protective bail to former finance minister Miftah Ismail in a case related to Liquefied Natural Gas (LNG) quota scam. A two-member bench of the IHC comprising Chief Justice Athar Minallah and Justice Mian Gul Hassan Aurangzeb took up the PML-N leader’s bail plea. Miftah along with his counsel appeared before the court. Ismail appealed the court to grant him interim bail until a final decision on the inquiry pertaining to the LNG case. Miftah insisted that the accountability watchdog is carrying out a “baseless” inquiry against him as he has nothing to do with the scam. The United States (US) on Tuesday removed Pakistan’s name from National Security Threat List. As per details, US’s counsel of foreign affairs has removed Pakistan’s name from the National Security Threat List. National Security Threat List is a list that is comprised of the list of countries which according to US’s think tanks are a threat to its national security. According to think tanks of the US, Pakistan is no more a threat to the national security of the US. It is pertinent to mention here that it is the first time since Pakistan is not included in the National Security Threat List. pleasant as much as it was now. He further said that ongoing rain spell would further affect Balochistan. He termed the next 24 hours would be more critical for the province. Torrential rains and flash flooding were expected during next 24 hours in Baluchistan. He asked the Provincial Disaster Management Authority (PDMA) to adopt precautionary measures for the safety of masses in the concerned areas. Responding to a question, he said this rain fall system would enter in upper areas of the Punjab during next 24 hours adding heavy rain fall and flash flooding are expected in FATA and Khyber Pakhtunkhwa (KP) during the said duration. Chief of Army Staff (COAS) General Qamar Javed Bajwa inaugurated the new blocks, a project that commenced in 2013, at the Combined Military Hospital (CMH) Rawalpindi on Tuesday. After completion of the project, the CMH has become a 1,000-bed hospital with a capacity of 1,150 beds, according to a statement issued by the Inter-Services Public Relations (ISPR). With the enhanced capacity and addition of high-tech equipment, as many as 5,000 patients would be treated daily at the hospital’s OPD. The hospital would cater to medical needs of military as well as civilian personnel. It is worth mentioning here that the CMH Rawalpindi has now become one of the state-of-art hospitals which would act as a ‘Base Hospital’ not only for Army but for Air Force and Navy also, the statement added. province with better healthcare facilities. The meeting was attended by Minsiter for Health Hisham Inamullah Khan, Advisor to Chief Minister on Merged Areas Ajmal Wazir, Principal Secretary to Chief Minister Shahab Ali Shah, Secretary Health and other high ranking officials. The Chief Minister was informed that during the past 8 months, 26,610 patients throughout the province have been provided with medical treatment under the Sehat Insaf Card at an estimated cost of Rs 6.1 crore. ment and illiteracy from the country. He said that climate change is serious issue which needs to be taken on priority basis at all levels of governance. He said that Regional Conference will be held in Pakistan during the month of October and he hoped that all neighboring countries would participate in this conference to deliberate upon the issues being faced by the region. While stressing on the need of being united for the progress of the country he said that this country belongs to us and we are recognized in the world because of Pakistan. He also mentioned that progress and prosperity of all of us depends upon development of this country. He said that Pakistani nation is a brave nation and it always faced the challenges with courage and braveness. Asad Qaiser said that model villages are being established across the country to support the destitute and hapless and to provide them with basic need of food, shelter, health and education. He said that all philanthropic and welfare organizations have been united to this cause. ing in younger recruits not only increases the service years of individual officers, but also eliminates other problems that have plagued the RAW. First, it is easier to instil a sense of belonging into the hearts and minds of young recruits who join the agency right after graduation than a civil servant who owes his or her allegiance to the parent service. Second, it puts an end to the ‘revolving door’ mechanism that allows civil servants on deputation to leave the agency and return to their parent service – a great liability for the intelligence agency. Immediately after the 26/11 attacks in Mumbai, the rules for deputation to the RAW also came under the scanner. While the rules continue to be debated, it is clear that the benefits of separating the civil services from external intelligence outnumber the benefits brought by an amalgamation of the two. There are better-suited solutions that should not be dismissed without exploration. Policymakers need to break away from the traditional line of thought and develop creative reforms. Without getting human resourcing right, intelligence reforms will remain incomplete. The author is a Policy Analyst at the Geostrategy Programme of The Takshashila Institution. you it’s probably an accident.” But Smith, who is among the more reasonable conservatives at Fox News, shut Karsenty down— telling him, “Sir, we’re not going to speculate here of the cause of something which we don’t know…. We’re not doing that here—not now, not on my watch.” Alex Jones’ Infowars website, notorious for promoting outlandish conspiracy theories, also floated the claim that the fire was “deliberately” set. Infowars’ “source” was an alleged Notre Dame worker. And anti-Islam activist Pamela Geller claimed that the “Notre Dame Cathedral inferno” was “intentionally set” and implied that there was an ISIS (Islamic State, Iraq and Syria) connection. A troll Twitter account, @CNNPolitics2020, pretended to be CNN and posted, “BREAKING: CNN can now confirm the Notre Dame fire was caused by act of terrorism.” But the account had no connection whatsoever to CNN, and Twitter shut @CNNPolitics2020 down when it learned of the disinformation it was spreading about the Notre Dame blaze. United States can use the full extent of its national power to bring others to the table that have the interest and ability to help Afghans develop their economy. Afghanistan’s long-term security is not an American problem meant to be solved by Americans alone, but one shared by countries as diverse as Germany, Russia, and Pakistan. Not only does China need to be included, but Beijing should be encouraged to take on a far more proactive role in Afghanistan’s national development. As a nearby state and an emerging superpower eager to expand its access to natural resources, China has both an economic and security interest in becoming a major player in the country. The United States, Afghanistan, and their partners should press Beijing to contribute to the difficult developmental work that is still needed. Others need to be at that table as well, particularly those like the European Union, Russia, and Pakistan who possess the financial largesse or political relationships to create the kind of stability Afghanistan needs for a better economy. By taking a longer strategic view and pulling in other partners to work with Afghanistan and the United States, I believe progress is achievable over the long-term -- although it will still be a difficult road. When I advised the Afghanistan Ministry of Defense, several of the generals I worked with most closely helped me appreciate what life was like in Afghanistan before the Taliban, then during the Taliban occupation, and the gradual but important progress that occurred since 2001. I learned many lessons from them, and my faith in Afghanistan’s ability to survive and grow is placed in the younger generations of Afghans. They have already done so much, starting with the hundreds of thousands of Afghan soldiers who have fought and sacrificed on behalf of their country. I feel an urgency to end this military conflict that has already surpassed in length any war the United States has fought in its history. The U.S. must engage a long-term strategy endorsed with international endorsement and support -- a plan that helps Afghanistan prosper as a strong, sovereign, independent country. We have developed these kinds of strategies before. Let us do it again. U.S. Navy Rear Admiral Lower Half (Retired) Sandy Adams is a fellow of the American College of National Security Leaders. The views expressed are the author's own. the IT. He asked the PITB Chairman to bring improvement in the IT system being used for price control in districts so that effective monitoring of daily-use items could be ensured. The Chief Secretary also issued directives regarding early disposal of departmental inquires, pension cases and complaints received on Pakistan Citizen Portal. Additional Chief Secretary, Senior Member Board of Revenue, Chairman Chief Minister’s Inspection Team, Commissioner Lahore Division and officers concerned were also present. in the establishment of the schools, it was the Turkish people who had donated funds for the creation of the schools. On this Justice Ahsan responded that 40 other countries had also shut these schools down, and that the PTICEF has been declared a terrorist organisation. Justice Saeed remarked that the Turkish government and Supreme Court had also declared the PTICEF to be a proscribed organisation and the Government of Pakistan stands by the Turkish government. The lawyer for the Pak-Turk schools maintained that Malaysia had not banned these schools. Justice Saeed replied: “Then you should go to Malaysia.” “Whether you want to change the schools’ name and fool people again,” inquired the judge, adding that this way other banned outfits will also start opening up various organisations. At the same time he also asked the counsel that he cannot defend a proscribed organisation in court. The counsel argued that the interior and foreign ministries of Pakistan had allowed the organisation to open up schools here. Justice Ahsan observed that the same government’s ministries had come to the court and said that Fethullah Gulen’s organisations have turned into a terrorist outfit and that the organisation is being used for money laundering and funding terrorist outfits. 74% to 62% and 25% to 19% was observed respectively in total number of fatalities; however militants’ fatalities went up from 25% to 28%. Tehrik-e-Taliban Pakistan (TTP) was the only proscribed outfit that claimed responsibility for suicide and an armed attack that targeted security personnel and installations in Loralai and Ziarat. Unlike previous quarter, Daish (Islamic State), made no claim of any terror attack during this quarter but they lost seven high ranking militants in security operations. TTP, on the other hand, lost thirteen militants in security operations that were carried out in North Waziristan, Hangu and Loralai. Moreover, sectarian-related violence declined in this quarter as compared to the last quarter and was only limited in Punjab and Sindh with six fatalities. Target killings replaced suicide bombings as the primary method of violence this quarter. As many as 83 persons lost their lives to target killings in Q1 2019, while two suicide attacks, left 9 persons dead. The number of dead bodies found was 23 this quarter, up from 7 in Q4 2018.
he said that NAB is inquiring him about the funds from 2005 to 2008, when he was not a public officeholder. He further said that whatever he did at that time was as per the law and tax regulations of that time period. Hamza also lashed out at Pakistan Tehreek-e-Insaf (PTI) senior leader Jahangir Tareen, who was disqualified from the Supreme court, for lecturing the nation on justice and equality. Hamza said that Tareen calling corruption embarrassing is one of the signs of Judgement Day. The son of the former Punjab chief minister also said that he had submitted a petition in the Lahore High Court (LHC) against the conduct of National Accountability Bureau (NAB) officials who had “attacked” the residences of his sisters. In his plea, he asked the high court to take action against NAB officials for contempt of court. In his petition to the LHC, Hamza has challenged the NAB officials’ action of raiding his home. He said that police ‘attacked’ the homes of his sisters, adding that a summon was sent to his ailing mother. Hamza Shehbaz said that in order to deviate the nation from the current government’s incompetence, the opposition leaders are summoned to NAB offices. NEWS DESK Hearing the case related to delay in completion of the Orange Line Metro Train (OLMT) project, Supreme Court (SC) Justice Azmat Saeed on Tuesday remarked that work on the project should not be stopped because of funds. A three-member SC bench was hearing the case. Observing the delay in the completion work, Justice Azmat Saeed warned that the matter could be referred to the National Accountability Bureau (NAB) as the company failed to fulfill its deadline. “The company assured the completion of the project by April 15,” he said. Later the court, after summoning secretary transport and finance, adjourned the hearing till Friday. The OLMT will span 27.1 km (16.8 mi) with 25.4 km (15.8 mi) elevated and 1.72 km (1.1 mi) underground. The line will be served by 26 stations and is expected to handle 250,000 passengers daily. As a part of the wider China Pakistan Economic Corridor, the Orange line is being financed by the Government of Punjab. The 27-kilometer metro train is expected to cost $1.6 billion, out of which $300 million would come from the Federal Government of Pakistan, the rest is financed through soft loans by the Government of China. facilities in government education system. 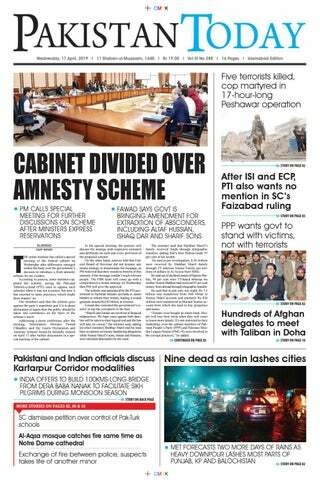 Advocate Faisal Siddiqui, representing the parents who petitioned in the apex court for, said the society couldn’t be sacrificed due to interest of a handful of people. Justice Faisal Arab said many government schools were operating even without a teacher. While Justice Ejazul Hasan said children studying at private schools get good jobs in their career. He reiterated that the court was not in favour of imposing an unnecessary ban on schools. The chief justice said the private school’s counsel must prove with reasoning that a five percent hike in fee was justified. Advocate Siddiqui said the Sindh High Court had given a decision in favour of parents. The SHC verdict said raising a fee without approval from a relevant authority is not allowed, according to the lawyer. underway countrywide and it was not just related to one city. They said the drug manufacturing companies increased prices of medicines to a large extent and in violation of the rules. They informed that the matter was also raised by the Drug Regulatory Authority of Pakistan (DRAP) and it’s also sub-judice in another court. The SHC bench said the matter could be looked once decision of a similar pending case was announced. On April 6, the Drug Regulatory Authority of Pakistan had launched a countrywide crackdown against the pharmaceutical companies over unauthorised and illegal hike in prices of medicines. n Monday, a rain and dust storm lashed all the provinces of the country, causing havoc in different ways at different places while killing 25 people and injuring 179. in Punjab, there were reports about damage to crops, roofs blown up and walls collapsing in villages, small towns and slum areas. in Karachi casualties were caused by trees falling under the pressure of the dust storm while fishermen were reported missing in the sea. in Balochistan 150 Hindu yaatrees trapped by flooded streams had to be evacuated through helicopter. Balochistan faced a flood-like situation following a new spell of heavy rainfall which claimed at least 13 lives and left over100 missing. The province has been hit by untimely rains and storms for three consecutive months and KP for two. in the latest incident in KP, three people in Chitral died as a house collapsed under a landslide. PM’s Climate Change Advisor Amin Aslam, who happens to be the most reticent among the PM’s team mates, has consistently maintained silence about the havoc being caused by climate change, as if this was an insignificant matter. While people were being washed away by flash floods, buried under landslides and dying under collapsing roofs, he was on Twitter waxing lyrical over “The magic of the Billion Tree Tsunami” or condemning “india’s shameful surgical strike against nature and Forests”. The PTi government needs to ponder the extent of the damage that has been done by climate change in Pakistan. rains, storms, flash floods and rising temperatures are affecting all the four provinces, besides AJK and gilgit-Baltistan, with increased frequency and destructive force. The weather predictions by the Pakistan Meteorological Department and the warnings to the population by the Pakistan Disaster Management Authority provide insufficient time to the population to fend for itself. The concerned agencies, that include police, rescue 1122 and provincial disaster management authorities, are under-staffed, ill-equipped, and mostly urban-specific. The way climate change is hitting Pakistan, any extreme climate event can lead to a disaster. There is a need to strengthen the forecast and rescue bodies now rather than wring hands and blame the past governments when the tragedy occurs. ErHAPS the only positive that Prime Minister imran Khan will take away from the drug-prices episode is that he will realise the limits of prime ministerial power. He had ordered that they come down after their recent increase. They didn’t, and this was despite the series of raids conducted by the Drug regulation Agency of Pakistan. it is now being said that prices are proper, and the increases merely reflected the devaluation of the rupee. That is poor consolation for the people most affected, who are already ailing, and are now faced with the prospect of more expensive medicines. The worst hit are those suffering from chronic illnesses, kept in check only by medication. The increase in the price of imports affects even drugs manufactured domestically, because the active ingredient is usually imported. Prime Ministerial fiat does not work in such cases, because manufacturers are in the private sector, and cannot afford to sell below cost indefinitely. Only the state can do that, and in this age of iMF packages, such a subsidy would be impossible, and even without the need for iMF packages, such steps can only be taken if there is some revenue coming in to meet this expense. The pharmaceuticals industry must accept some of the blame, but it cannot be ignored that apart from the precipitate fall in the value of the rupee, drug prices have gone up worldwide, and thus dollar prices have gone up, making the effect worse. it is all very well, and populist, to order prices down. However, it only works for a limited period even in the case of absolute monarchs or military dictators, and not at all for elected officials, as in the present instance, who are not seen as arbitrary givers of orders, but as achievers of compromises between various interest groups. Prime Ministers need to be briefed, and even if this means that they cannot cut a fine figure and lose some spontaneity, it would be better for the country as a whole, indeed even for the historical reputation of the Prime Minister if he earned a reputation for careful consideration. Much can be done in the health sector to make life easier for the common man. However, that would require the sort of deep consideration the Prime Minister’s orders did not show. Amidst increasing domestic criticism, indian Air Vice Marshal rgK Kapoor held a press conference and refuted the assertion of the FP story. Air Vice Marshal Kapoor stated that india has “irrefutable evidence” that indian jet downed a Pakistani F-16 in a dogfight. interestingly, in his concluding remarks, he said that the iAF could not provide more information to the public due to “security and confidentiality concerns.” That essentially means that there exists no such information and if it had, india would have made it public to embarrass Pakistan. in a quid pro quo, Dg iSPr Maj gen Asif ghafoor, while commenting on the indian Air Vice Marshal’s presser, said that “repetitions do not make [the] truth a lie” and the fact is that PAF shot down two iAF jets, “wreckage [has been] seen on the ground by all.” Likewise, MiT Assistant Professor Vipin narang said that “it looks worse and worse for the indians,” and it seems india “failed to impose significant costs on Pakistan, [instead] lost a plane and a helicopter of its own in the process.” That said, india’s testing of ASAT capability was again perceived as an attempt at face-saving by the Modi government on the one hand, and to divert the ‘microscopic’ scrutiny on the other. However, the abrupt response from the nASA administration was a setback as it briefly halted working with iSrO after the indian ASAT test. The nASA administration not only visualises the test from the strategic stability perspective but also as a threat to the concept of space as global commons. in the background of these dangerous developments in the region, it appears that indian government narrative is not finding traction at the national and international levels. Also, it remains to be seen how testing an ASAT capability would elevate the socioeconomic status of a country 75 per cent of whose population is living in abject poverty, where 200 million people don’t have sufficient access to food and 25 per cent of whose children do not have access to education. Senator Sehar Kamran is the President of Centre for Pakistan and Gulf Studies (CPGS) and member of the Senate Forum for Policy Research (SFPR). She has also served as a member Senate of Pakistan for the term 2012-2018. Japan expert Kong Xuanyou, currently the vice foreign minister, as its new ambassador to Tokyo as it seeks to raise bilateral relations to new heights. The move will help improve the ties between the two countries at a time when President Xi would be making an official visit. Chinese President Xi will likely visit Japan this year. Japanese Prime Minister Shinzo Abe’s visit to China last fall was the first formal visit to Beijing by a Japanese leader in nearly seven years. This is considered a major breakthrough in their high-level visits and exchanges. China and Japan ties are important and will continue to assume its importance in world arena. There is need to give them just place and a supporting hand. This will not only reduce bilateral friction on a number of issues, it will help resolve all fundamental issues including Senkaku/ Diaoyu dispute. There is no puzzle between them that cannot be resolved and both are willing to do so. The sensitivity of the China -Japan ties should be kept in mind when analysing these ties. Both of these two countries share more global and regional interests than differences. A much more prosperous world order is in the making process and both of these two nations will guarantee it. Dr Ahmad Rashid Malik is a Consultant at the Institute of Strategic Sties Islamabad. He writes on East Asian affairs. the country has suffered. They never tire of proclaiming their political credentials but continue to rally forces to destabilise the elected government of an opponent party and strengthening the hands of the elements inimical to democracy. The media, as a representative of society, is supposed to defend and promote democracy which is also imperative for its own freedom, but regrettably a section of it is feverishly engaged in strengthening the anti-democratic forces in line with the polarisation that mars our political landscape. instead of criticising and discouraging state institutions from interfering in the domain of others and standing up to anti-democratic forces, it is acting as their flagbearer. it has no sense of proportion. it is amazing that a politician like Sheikh rasheed who has only one seat in Parliament that he won courtesy of another party, is engaged by TV channels for his outlandish comments and some channels even extend the courtesy of hour-long exclusive interactions with him. People are also amazed at his audacity in making tall claims about his political character and morals, knowing well that he is a politician who has adopted a myriad of hues during his political journey, has been a staunch supporter of the establishment and is on record to have claimed Mian nawaz Sharif as his leader from every convenient roof-top to whom he owed his entry into the national Assembly before the military coup by gen (retd) Pervez Musharraf. He was seen leading a rally on Murree road rawalpindi with a live lion to reinforce the credentials of PML-n as a democratic entity and Mian nawaz Sharif as his mentor. And if my memory serves me right, ghulam Mustafa Khar accused Sheikh rasheed in the Majlis-e-Shura of getting money from him when the former was Punjab governor in the first PPP regime. i am sure the media is aware of his track record but probably relishes the spectacle to use him as ‘rent-a-Quote’. information Minister Fawad Chaudhry is another politician who has changed his loyalties at least four times since making an appearance on the political landscape, and is most vociferous in hurling unsubstantiated allegations on the political opponents posing as more loyal than the king. i am sure he and Sheikh rashid will ditch imran Khan the moment they sense a change in the wind, like they have been doing in the past. The rest of the political slurs quoted above though can conveniently be applied to almost all the politicians of Pakistan barring a few exceptions, but in the current scenario they can be safely applied to only one leader of a political party. guess who fits the bill? The rest of the political slurs quoted above though can conveniently be applied to almost all the politicians of Pakistan barring a few exceptions, but in the current scenario they can be safely applied to only one leader of a political party. Guess who fits the bill? trol the blaze, while the area is currently closed to examine the cause of the fire. Al Marwani prayer room is located underneath the southeastern corner of Haram Al-Sharif, which contains both the Dome of the Rock and Al Aqsa Mosque. The prayer room is an underground vaulted space used as a Muslim prayer hall, some 600 square yards in area, at the bottom of stairs which lead down from Al Aqsa Mosque. Shaikh Azzam Al-Khatib, director general of the Jerusalem Waqf and Al Aqsa Mosque Affairs Department, told Jordan’s Al Mamlaka TV that the fire broke out in the courtyard and investigations are underway. India's Supreme Court considers call to open mosques to women India’s Supreme Court agreed on Tuesday to consider a petition from a Muslim couple to allow women into mosques, seeking to overturn a centuries-old practice that largely bars women from the places of worship. Women are not allowed inside most mosques in India, although a few have separate entrances for women to go into segregated areas. The petitioners, Yasmeen Peerzade and her husband Zuber Peerzade, said that women were allowed to enter mosques during the time of the Prophet Mohammad (PBUH). “Like men, women also have the constitutional rights to offer worship according to their belief,” they said in their petition. be brought down to 25 percent and 20 percent on single member/small companies to compete with other regional and global countries. Talking about revamping of Withholding Tax Regime in the country the FPCCI members proposed that withholding tax regime should be simplified by reducing the categories of withholding taxes and the rates thereon. Further, the withholding agent should be facilitated through wherein the visibility of tax deduction certificate should be given to the taxpayers instead of relying on the withholding certificates. Withholding tax agents should be given incentive in the form of tax credit for facilitating the government in identifying potential tax evader. Withholding agents should be given incentive in the form of tax credit for facilitating the Government in identifying potential tax evaders. CHINESE NATIONALS ENJOYING NTN: During the meeting some of the representatives of chambers of commerce complained that Chinese nationals were freely doing business in the country as they easily get NTN and other facilities in Pakistan. Unlike them, Pakistanis can’t avail similar facilities in China because of the strict rules in the neighboring country. As per law Pakistani nationals can only do business in joint ventures with locals in China. The Standing Committee’s meeting was attended by MNAs Mr. Raza Nasrullah, Mr. Jamil Ahmed Khan, Mr. Faheem Khan, Ms. Nusrat Wahid, Dr. Ramesh Kumar Vankwani, Mr. Qaiser Ahmed Sheikh, Mr. Ali Pervaiz, Dr. Aisha Ghaus Pasha, Ms. Nafisa Shah, Syed Naveed Qamar and Mr. Abdul Wasay, besides the senior officers of FBR and different stakeholders. Zamman and Chief Human Resource Officer Air Vice Marshal Subhan Nazir Syed. The judge directed authorities to arrest the respondents and produce them at the next hearing on April 24. PIA Spokesperson Mashhood Tajwar said that "the PIACL respects the honourable courts and will act in accordance with law." Senator Engineer Rukhsana Zuberi here on Tuesday admonished officials of Pakistan Telecommunication Company Limited (PTCL) for nonpayment of increased in the pension of retired employees payable by Pakistan Telecommunication Employee Trust (PTET). She was chairing a meeting of the subcommittee of Senate Standing Committee on Information Technology and Telecommunication here at Pakistan Institute for Parliamentary Services (PIPS). The agenda of the meeting was to discuss the issue of increase in pension of retired employees of the PTCL. The committee gave twoweek’s time to t e PTCL and PTET to submit details of the investments, business rules, investment rules, details of the bank deposits, return on investments on two buildings of PTCL based on market price, year-wise PTCL funds contribution as per act 1996, additional burden of payment on PTET after Voluntary Separation Scheme (VSS) 2008. 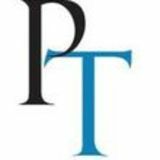 The committee directed PTET to make payment of pension to the remaining Non-VSS pensioners out of the available funds and the directives may be placed before the board of trustees for endorse the decision. At the outset of the single agenda meeting, PTET managing director informed the committee that in compliance with the judgment of those employees approached the court were paid the pension, however, the court had directed the rest of the employees to approach appropriate forum for the relief. He said the trust has no funds to make payments since the dues of the employees till December 31, 2018 are worth of Rs41 billion. Senator Kalsum Parveen said 343 employees who had approached the Supreme Court were paid the difference, however, the rest who did not approach the court are still in the waiting queue. Senator Rehman Malik said the Supreme Court had directed the retired pensioners to approach the appropriate forum and this parliamentary forum is an appropriate one therefore you are directed to pay the difference to the retired pensioners. “These employees served this institution all their lives, they do not deserve this kind of treatment,” he said adding, “We will go the extra mile for these poor pensioners.” Officials of the PTET, however, kept insisting that they are short of funds therefore, no increase can be paid to the retired pensioners from the existing funds but the committee while seeking all the details of their business, directed them to make payments in two-week’s time and submit a compliance report to the committee. HINA has agreed to immediately reduce duties to zero per cent on 313 tariff lines, thus granting Pakistan similar access to that offered to countries of Association of South East Asian Nations (ASEAN) after years of negotiations. Secretary Finance Mohammad Younus Dagh led the technical team in the negotiations in his previous assignment as commerce secretary, and said that he sought to secure market access to China on the pattern of the ASEAN economies. “We successfully got the best possible gains for Pakistan”, the secretary said. adding “we have included all those tariff lines identified by chambers of commerce and associations for protection.” As per Chinese FTA with Asean, reduction on tariffs is almost over 90 per cent of the total tariff lines. Under the agreement, Pakistan will reduce duty to zero on 75pc of total tariff lines in 15 years, while China will do the same in a period of 10 years. During this period, China will reduce duty to zero per cent on around 2,000 -2,500 tariff lines for Pakistan. The FTA between China and Pakistan covers nearly 7,000 tariff lines at the eight-digit level of the HS code. Both sides had reduced tariffs on almost 36 per cent of the tariff lines to zero during first three years of PCFTA’s Phase-1. positive trends in exports. The ministry was working on Strategic Trade Policy Framework (STPF) 2019-14 and National tariff Policy, he said adding that trade related investment policy framework was also being prepared for increasing the country’s exports. He informed that during fiscal year 2019 around eight per cent decline was observed in country’s imports. Among others, the meeting was attended by Nawab Sher, Sajida Begum, Mrs. Farukh Khan, Muhammad Yaqoob Sheikh, Khurram Shaza, Shaists Pervaiz and Senior official of Ministry of Commerce attended the meeting. the value of its accreditation or recognition of a particular institute. Such deceptive practices not only put the future of students at risk, but unrecognized institutes that continue to teach students may well fall below the teaching standards that are required to be maintained, playing havoc with the lives of potential patients that may seek healthcare services from under qualified doctors that received their education from institutes unrecognized. CCP is mandated under the Competition Act to ensure free competition in all spheres of commercial and economic activity, to ensure economic efficiency and to protect consumers from anti-competitive practices indulging deceptive marketing. forward now, not back anymore and just keep fighting. So it’s all clear and perfect. Thank you, guys.” The 33-year-old, who spent nine years in England playing for Liverpool and Newcastle, was told he could lose his sight as a result of the tumour. Enrique retired in 2017 after an injury-hit season with Real Zaragoza and had begun working as a football agent. Huesca on Saturday after a hefty challenge from United defender Chris Smalling last week left him with a swollen nose and cheek. “He is fine,” said Valverde. “He has recovered perfectly from the blow he suffered. He was fine after a couple of days. “It is true that during the match he was a little stunned but he is in perfect condition and does not have any problems ahead of tomorrow’s game.” Valverde said Ousmane Dembele could also feature after he played 67 minutes against Huesca, having recovered from a hamstring injury. “I don’t know to what extent because he has been out for four weeks,” Valverde said. “But he is ready to play.” Barcelona have lost only one home game in the Champions League in 10 years, but United will draw hope from their last 16 comeback against Paris Saint-Germain, when they overturned a 2-0 first-leg defeat to go through. “That memory from PSG will help the players and us as a team, that we know we can turn things around,” Solskjaer said. “Barcelona here at the Nou Camp is a difficult prospect but the memory will live with the players. It’s not long ago.” Barca goalkeeper Marc-Andre ter Stegen is confident his team can avoid a repeat. Belgian star Kevin de Bruyne has acknowledged that being rejected by a foster family as a teenager fuelled his footballing success. The 27-year-old attacking midfielder, who on Wednesday will be pivotal as Manchester City aim to stay on track for a quadruple this season in overhauling Tottenham’s 1-0 first-leg lead in their Champions League quarter-final clash, has bounced back from two knee injuries this season to the kind of form he has regularly displayed since City paid £54million ($70.6million) to German side VfL Wolfsburg for him in 2015. However, it may never have come to pass like that but for the deep hurt he suffered aged 15 at the hands of the family in Genk who took him in when he was with the club’s academy. “That year went by, and I was doing well in school, doing well in football. No fights. No problems,” he told The Players Tribune. “At the end of the year, I packed my bags and said goodbye to my foster family. “They said: ‘We’ll see you after the break. Have a good summer. '” De Bruyne said his sense of serenity was shattered hours later. “As soon as I got back to my parents’ house, I walked in the door and could see that my mother was crying,” he said. “I thought maybe somebody had died or something. I said, ‘What’s the problem?’ “And my mother said the words that probably shaped my whole life. double that of their previous record transfer — fellow Frenchman Corentin Tolisso. In 22-year-old Kingsley Coman, Bayern have yet another Gallic talent in their emerging generation. On Tuesday, club legend Lothar Matthaeus backed Coman and Serge Gnabry, 23, to follow in the footsteps of departing veterans Arjen Robben and Franck Ribery, who are both out of contract at the end of June. “Coman and Gnabry are both quick, good dribblers and dangerous in front of goal,” Matthaeus wrote in his column for Sky Sports, adding that “legendary” veterans Robben and Ribery would not be missed. view to get logistics in order, such as booking rooms and travel for teams. The selectors have also included the uncapped duo of Yasir Ali and Nayeem Hasan in the squad that will face Ireland and West Indies ahead of the World Cup. Yasir did well at this year's Bangladesh Premier League (307 runs in 11 matches for Chittagong Vikings) while Nayeem has been earmarked as an offspinner for the future after his performance in the Test series against West Indies at home in November last year. standing fielders. The other big debate ahead of the squad announcement is the identity of a back-up fast bowler to the likely trio of Kagiso Rabada, Dale Steyn and Lungi Ngidi. Newcomer Anrich Nortje was impressive in the one-day series against Sri Lanka and although he was forced to withdraw from the Indian Premier League with a shoulder injury he is expected to be fit for the World Cup. While he has not played in a oneday international since February last year, Chris Morris has been picked by several experts in their preferred World Cup squads because he can bowl at more than 140 kph and is a hard-hitting lower-order batsman. Three wickets for the Delhi Capitals against Sunrisers Hyderabad on Sunday took his total to 11 in six matches in this year´s IPL. Andile Phehlukwayo and Dwaine Pretorius are likely to be picked as allrounders, while Imran Tahir and Tabraiz Shamsi are South Africa´s probable spin bowlers. It is unlikely that a back-up wicketkeeper to De Kock will be chosen, with Miller seemingly being groomed as an emergency gloveman. Argentine Guido Pella dealt a second-round blow to seventh seed Marin Cilic, beating the Croatian 6-3, 5-7, 6-1 on Tuesday at the Monte Carlo Masters. Defeat in just over two hours left 2014 US Open winner Cilic with just one win from six matches since January's Australian Open, where he went out in the fourth round. Pella, who won his first career match at the event in the first round on Sunday, emerged a winner as he played on the idyllic centre court for the first time. "This is my best surface, I knew I had chances," the world number 35 said. "But I had to play well. "I was a bit nervous at the start, it was my first time on this court. But playing here is a dream - it's unreal." Cilic was playing here for the 11th straight year, with quarter-final showings in three of the previous four editions. Left-hander Pella came to the European clay with a title this season in Sao Paulo. He now stands 13-3 on the surface in 2019. Top seed Novak Djokovic was set to begin his pre-Roland Garros campaign later, facing Philipp Kohlschreiber, who beat him last month in the Indian Wells third round. Pella moved into a winning position as he broke Cilic for the eighth time of the afternoon, winning a sixminute game before serving out the upset, saving a break point in the final game and wrapping up as Cilic fired wide. In the first round, Briton Cam Norrie advanced in his debut match at the event, with the 23-year-old defeating Adrian Mannarino 6-4, 6-3. The 56th-ranked Norrie was impressed with the dramatic setting of the iconic Monte Carlo Country Club venue which overlooks the Mediterranean from a cliff. "I like the conditions here. Everything is kind of on top of each other," he said. "It's pretty sick kind of playing tennis on the side of a mountain with a water view." Canadian revelation Felix AugerAliassime advanced into a second-round contest with third seed Alexander Zverev after beating Argentine qualifier Juan Ignacio Londero 7-5, 7-6 (7/5). The 18-year-old AugerAliassime, who reached last month's Miami semi-finals from a qualifying start, now boasts a ranking of 33rd -- up from 175th when he played here a year ago. Frenchman PierreHugues Herbert defeated Spanish veteran Fernando Verdasco 6-4, 6-4, while local Gilles Simon rounded out opening-round play with a 7-5, 6-1 defeat of Australian Alexei Popyrin. Popyrin, 19, and playing his first ATP-level match on clay, received medical treatment on his neck while trailing a set and 4-1.
record 33 sports and 339 events and the action will begin on July 22, two days before the opening ceremony, with softball and women’s football. Many finals, including swimming, are being staged in the morning to coincide with prime time US TV audiences, but Murofushi said he still hoped for “full stadiums”. pilgrims. The shrine is visible from the Indian side of the border and every day a larger number of Sikh devotees gather to perform Darshan or sacred viewings of the site. The corridor is planned to be opened for Sikh pilgrims this year in commemoration of the 550th birth anniversary of Baba Guru Nanak. The groundbreaking of the project on the Pakistani side was performed by Prime Minister Imran Khan at Kartarpur Sahib on November 28, 2018.
of issues,” said a statement issued by the Senate Secretariat. The senators demanded the PTM to nominate a focal person for meetings with the representatives and present their demands in writing to the committee. The PTM formed in the aftermath of the murder of Naqeebullah Mehsud demanded penalisation of Rao Anwar, recovery of FATA’s missing persons, probe into extrajudicial killings of Pashtuns all over the country, and end to discrimination meted out to tribal people in addition to a formation of the Truth and Reconciliation Commission. Azoulay said in a statement Tuesday. DONE IN YEARS? The painstaking renovation work is likely to cost hundreds of millions of euros over several years, if not decades, though experts breathed sighs of relief that the damage was not even worse. But many officials were urging the government to mobilise the resources to quickly restore the cathedral. “Since yesterday I´ve been hearing that it will take a decade, what nonsense!” former culture minister Jack Lang told AFP outside the church on Tuesday. He called instead for an ambitious three-year project to rebuild the destroyed roof and its towering spire, which collapsed as a burning ember around two hours after the blaze erupted. “You have to set a short deadline, as we´ve done in the past with other exceptional works,” he said. The gothic edifice had been undergoing an 11-million-euro ($12.4-million) overhaul financed by the French state to repair the damage inflicted by time, pollution and the weather.